Until the nineteenth century the Winkelwiese, originally part of a vineyard located on the southeastern boundary of the old town of Zurich, remained open land without buildings. The explosion of the Geissturm in 1652– one of the main fortification towers of Zurich, and located in the actual perimeter of the Winkelwiese – destroyed the last remnants of the vineyard. 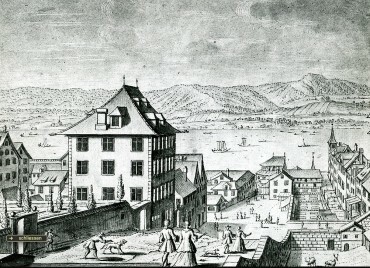 The newly naturalized area took its name from the close-by mansion “Haus zum Winkel”. 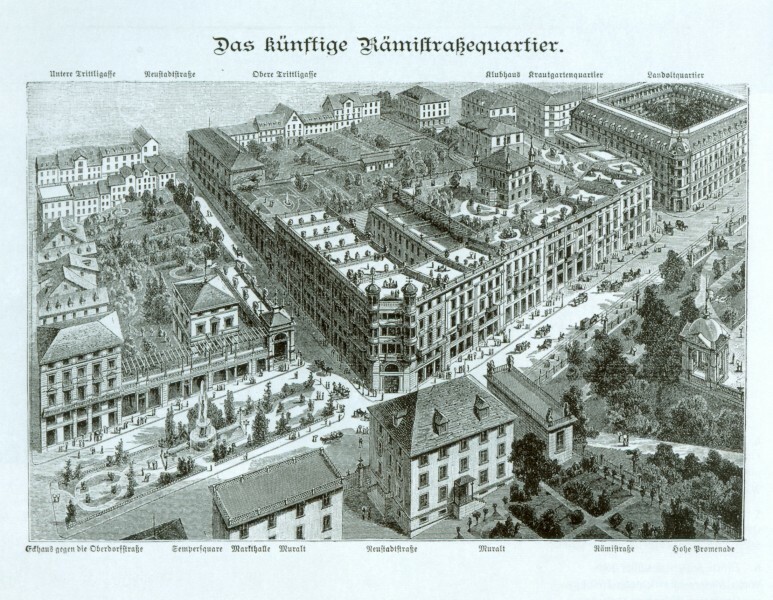 After the collapse of the other fortifications, the Winkelwiese became prime building land; for the first time it was possible to build new residential buildings in the old city of a certain magnitude. 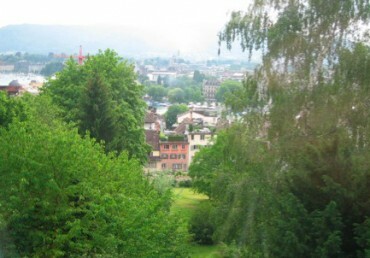 In the years between 1880 and 1890 the subsequent hill villas with their parks and gardens were integrated into the project “Neighborhood Rämistrasse“ by the architect Heinrich Ernst. This partially executed and ingenious proposal provided a new artificial base of urban dimension for the in large parts still intact greenery and more rural landscape above.